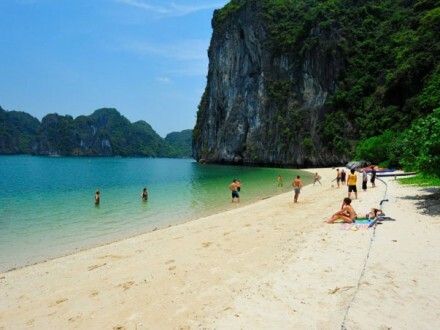 Begin in Bangkok and cover the best bits of Cambodia, with a couple of Thailand’s gems thrown in! The Cambodia tour heads South from Bangkok to Rayong, journeying along the West of Thailand towards Cambodia via the beautiful Thai island of Koh Chang. 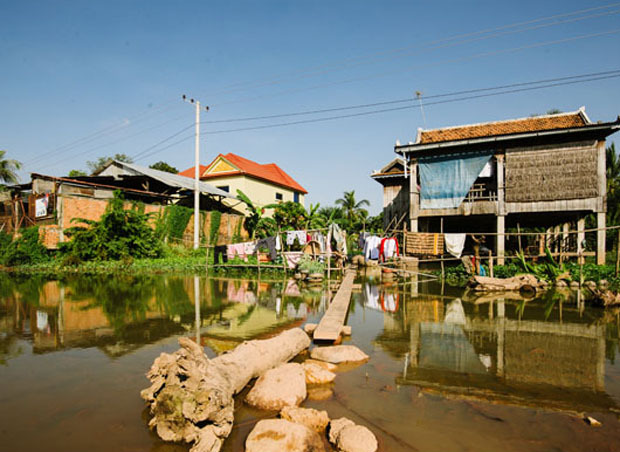 On arrival in Cambodia we head to the beaches and parties of Sihanoukville and Koh Rong, then further North, stopping along the way in Kampot and Phnom Penh to experience some Khmer culture, history and nightlife. 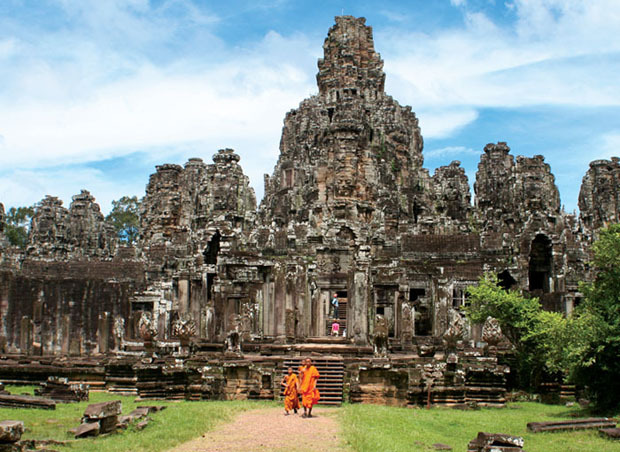 The tour ends in Siem Reap to see one of the highlights of South East Asia – the majestic Angkor Wat. We will either pick you up from the airport or meet you at our guesthouse and introduce you to the crew. You’ll have the day to chill and get settled before we head out in the evening with the rest of the group for a welcome meal and a few drinks on Khao San Road. 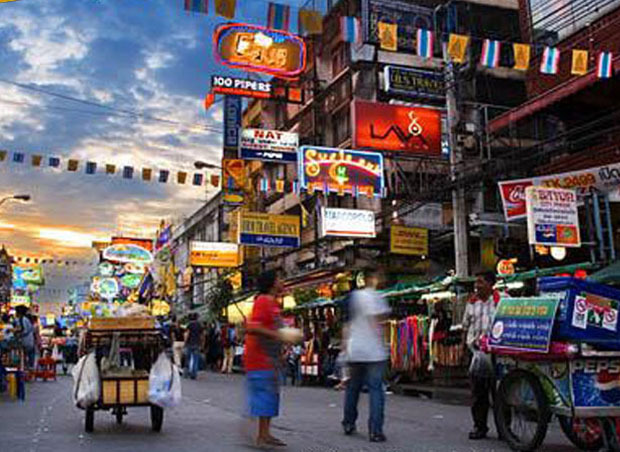 Today you get to experience either Chatuchack (JJ) weekend market or MBK, one of Bangkok’s largest malls. At both you can buy almost anything in the known universe and usually for a pretty decent price. JJ is also home to one of our favorite bars in Bangkok, where you can enjoy a delicious cocktail and awesome DJ’s! In the evening we can hit up Khao San again or take a cruise along the Chao Phraya River to town and take in the magnificent night time views of the riverbank with lit up temples, old and new Thai architecture. If we’re lucky we may even catch the weekly Muay Thai exhibition at MBK. Leaving Bangkok in the morning we take a private minibus to the lovely beach-side town of Rayong. Today you can either relax by the pool and sample some of the famous local cuisine or jump on board the Undiscovered Thailand boat for a day of sea, sun and fun. We’ll visit an awesome local waterfall, do some snorkelling and even visit a turtle sanctuary (seasonal) or try a spot of fly boarding (optional). In the evening we’ll grab a bite at the resort restaurant which boasts possibly the best pizza in Thailand! And we have probably the best videographer in Thailand/Cambodia. Today we hit the coastal road again over to the beautiful Island of Koh Chang. Whilst the 3rd biggest Thai Island, Koh Chang is not as well know among tourists as others like Samui or Phuket so it’s some what of an idyll. We stay in some cool little beach bungalows in the backpacker area of Lonely Beach which has great stretches of white sand, crystal clear water, cool bars and restaurants. Kayak, explore, fish, sunbathe or party… do whatever you like. We have two days to chill and ready ourselves for the next leg of our epic road trip… Cambodia! 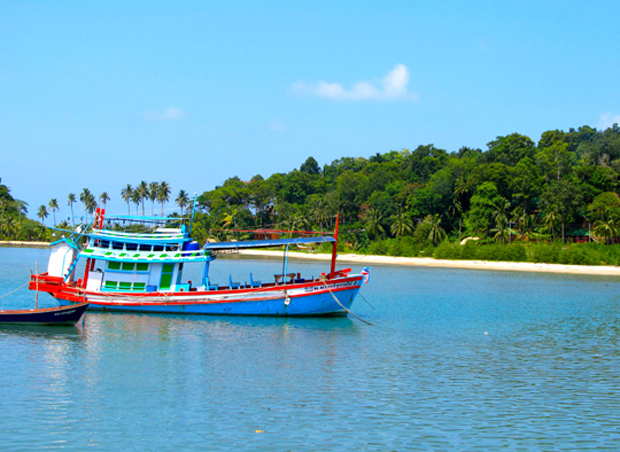 We start the Cambodia leg of the tour in Sihanoukville where there is no shortage of beaches, islands and parties. 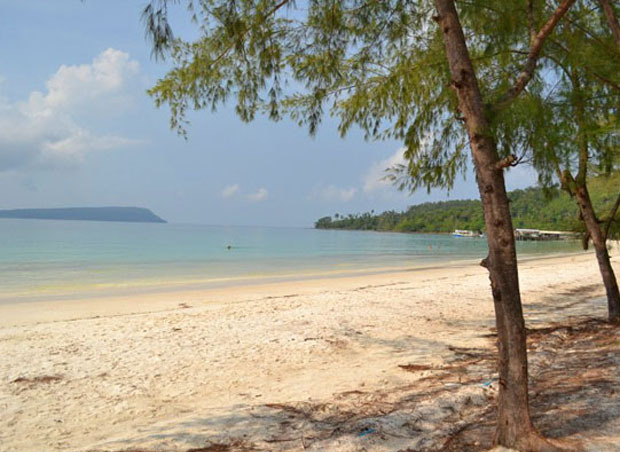 Whilst down in Sihanoukville we’ll stay near the main beach for two nights and hit the famous beach parties at Dolphin Bar (50c beers!) and other good time beach shacks. We take part in a pirate ship booze cruise around the islands on day 7, then hop over to the tropical island paradise of Koh Rong on day 8 for the next two nights (What could Koh wrong?). 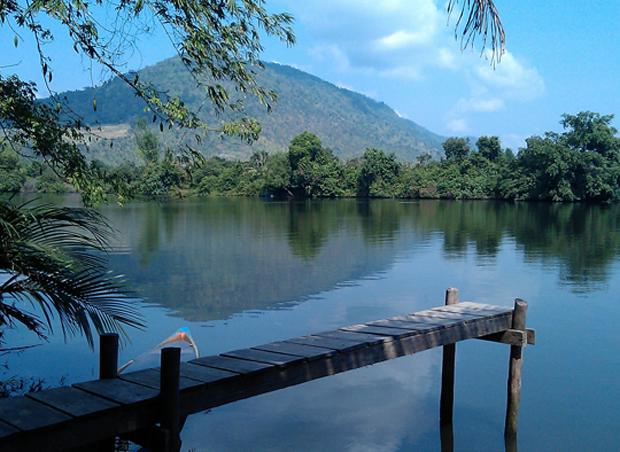 On day 10 we take a short ride to the great little town of Kampot. Staying at an awesome backpackers right on the river we’ll spend the next two days chilling, rafting, tubing, hiking, cycling and maybe even rock climbing and abseiling in caves… YES! Arriving in the capital by private mini bus, we’ll get checked into one of the coolest backpackers in the city with the best roof top bar! We’ll do some exploring or a bit of heritage sight-seeing at Wat Phnom, the founding temple of Phnom Penh and a sunset boat cruize (with beer) along the Mekong River. Whilst in the city, tradition dictates that we take a tour to the historical and eye opening site of the Khmer Killing Fields and S21. Two historical land marks which shine some light on Cambodia’s chilling and not too distant history. While here we also eat at some nice spots including Dine in the Dark (A feature restaurant where you dine in complete darkness) and Friends Restaurant which serves Khmer tapas and is a training restaurant run by a charity for under privileged youth so they can gain employment and escape poverty. Also… We’ll sample some of the cities night life and party till the early hours. Depending on the season we’ll either take a mini van or boat from Phnom Penh to Siem Reap, home of the magnificent Angkor Wat temple ruins (where they filmed Tomb Raider & Tekken). We’ll take a sunrise bike ride through the temple complex exploring the awe inspiring ancient ruins which happen to be a UNESCO World Heritage site. If you’re ballin’ you can even take a balloon ride and get a bird’s-eye view. 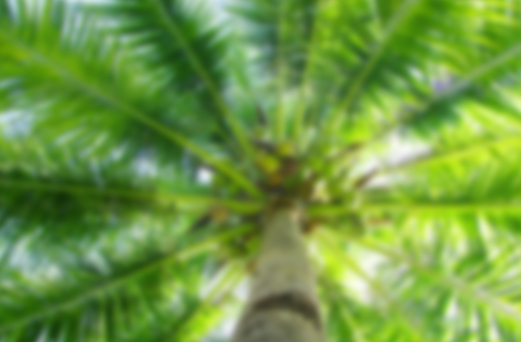 Travel Insurance – You must have your own travel insurance in order to travel with us on this trip. Here we recommend the Best Travel Insurance for Backpackers. Pre-departure pack – Once you have booked this tour, you will receive a pre-departure pack which contains all the information you need to know before you leave for Thailand & Cambodia. This includes a Before-you-go check lists, arrival information, meeting point directions, an itinerary overview and more useful travel tips. Airport Pickup (Included) – Your group leader will meet you at the airport if you arrive on or within two days of your start date. Any earlier arrivals will need to make their own way to our guest house in Bangkok (directions supplied). The best time to arrive in Bangkok is on the start date of your tour as we leave the day free for airport pickups and to let you settle in. In order to land on your specified start date, you will need to leave the day before. Please make sure you do not book your flights to depart on your start date as you will miss part of the tour and we cannot guarantee your tour guide will be able to meet you at the airport. If you arrive 3 or more days before your start date, your group leader may not be able to pick you up from the airport. However, we will arrange a taxi to our guesthouse and book you in for any extra nights. All you need to do is let us know and give us your flight details. Reur’mok (Sort of Cambodian Tuk Tuks/Rickshaws) rides around Phnom Penh, Killing fields. 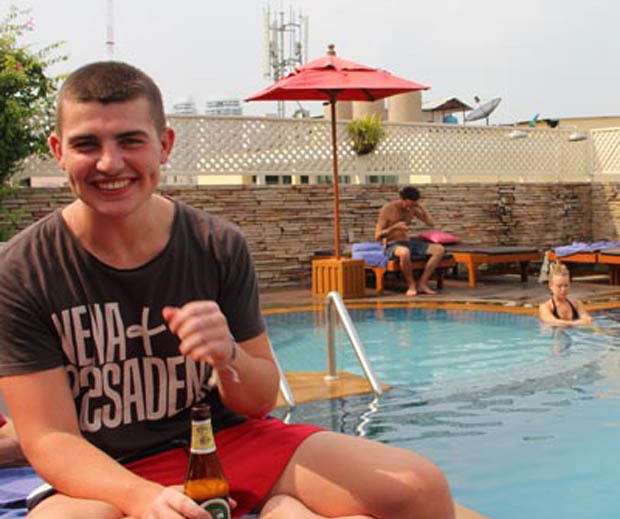 A clean, comfortable guest house near Khao San road, in the heart of Bangkok. 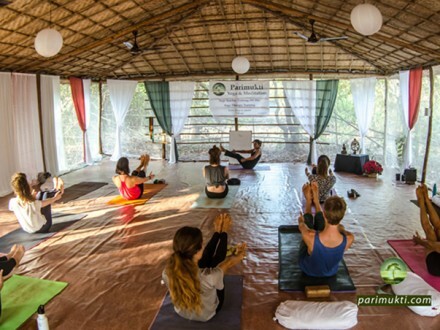 The rooms are air-conditioned & have hot showers. Air-conditioned, modern rooms when staying in hotels. Support – The great thing about this trip (organized by Tru Travels) is that we are on-hand to give you support before, during and after your tour. You become a part of our TruTravels Family, and we will do everything in our power to ensure you have the time of your life on tour with us. Insider knowledge from our incredible Western & Local tour guides, who will be able to answer any questions you may have about Thailand and show you some really cool stuff you’d never find on your own, as well as being with you all week to make sure you have an awesome and hassle free time. Loads of advice for onward travel in Thailand/Asia/Oz and help organising flights/buses/trains or extra activities. Contact – Any more questions please Contact Us! Or Reserve your place below… we will only take a 20% deposit upon reservation.